Top Chef Season 4 runner up and winner of Top Chef All Stars (Season 8) Chef Richard Blais is opening a restaurant in San Diego!! 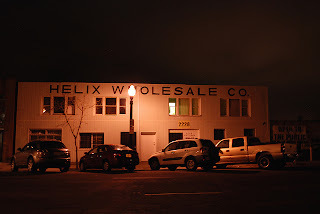 Partnering with Concentrics Restaurants, the Atlanta based duo's newest concept will be located on the outskirts of San Diego's Little Italy in an early century warehouse space and is anticipated to open in late 2013. “Richard and Concentrics have a long standing history with exciting recent success. We are looking forward to creating another restaurant together that is just as popular as the FLIP burger boutiques and The Spence,” states Bob Amick, owner and founder of Atlanta-based Concentrics Restaurants. 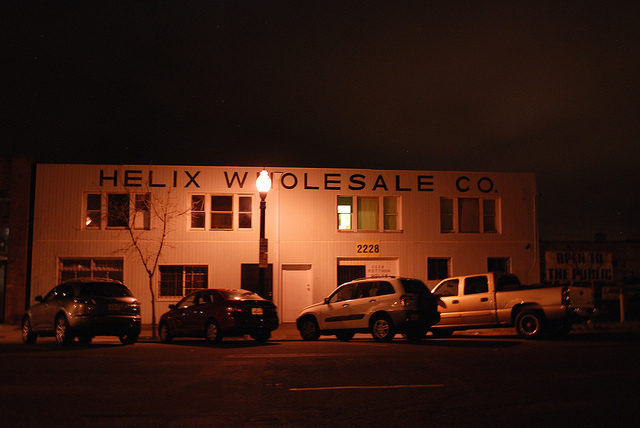 The new concept will be located in the Helix Wholesale Co. Building, at 2228 Kettner Boulevard between Ivy and Juniper. In addition to Chef Blais and Concertrics, San Diego local Michael Rosen of Juniper Hospitality will be part of the venture and Atlanta's The Johnson Studio has been retained as the restaurant architecture firm for its design. “Our restaurant in San Diego with Michael Rosen gives me a perfect chance to embrace my love for California and live out a dream that I've had for quite some time. To be able to do this project with Concentrics makes it a perfect fit, as it will allow me to divide my time between my home base of Atlanta and my new project in San Diego. I am looking forward to sharing my passion, inspiration, and most importantly, food, with the West Coast," explains Chef Richard Blais. The Johnson Studio is an award-winning international restaurant architecture firm known for its unique designs of Atlanta’s TWO urban licks, The Royce in Pasadena, CA, Chicago’s TRU restaurant, New York’s Del Frisco’s Grille, Costa Rica’s Hotel Grano de Oro, Fearing’s in Dallas, Tahoe’s Manzanita, and many more. The Johnson Studio has been engaged in the design of hospitality projects for more than twenty years and they have designed hundreds of renowned restaurants. 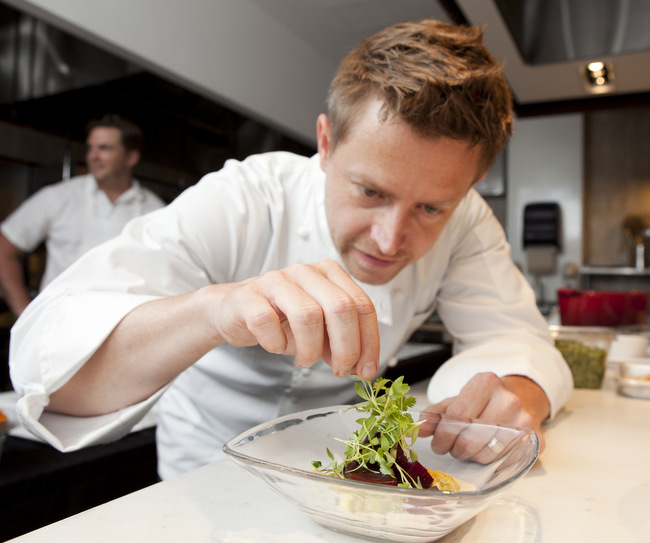 Perhaps most recognizable as the winner of Bravo’s Top Chef All-Stars, Richard Blais is a successful chef, restaurateur, cookbook author and television personality. After graduating from the Culinary Institute of America, Blais went on to train at French Laundry, Daniel, Chez Panisse, and el Bulli. He currently owns and operates Trail Blais, a forward-thinking culinary company that has consulted on, designed, and operated some of Atlanta’s most popular eateries including multiple outposts of Flip Burger Boutique, HD1 and most recently, The Spence. Blais currently resides in Atlanta with his wife Jazmin and their two daughters Riley and Embry. When not behind the stove, Blais may be found training for his next marathon or cheering on his favorite European soccer team. 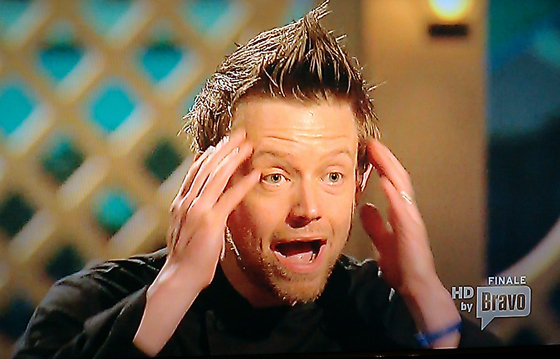 Richard Blais is the most recent addition to San Diego's growing list of Top Chef alums that include Brian Malarkey (Searsucker, Gingham, Burlap, Herringbone, Gabardine), Richard Sweeney (R Gang Eatery), and Amanda Baumgarten (Herringbone).